Terragen – Erat: leans on books from a well known fantasy writer named david eddings. For fans the books are as good as the well known tolkien works about middle-earth. To the pic: The rendering time for the basic pics took about 10hrs in a res. of 3200×2400. The post work in photoshop took about 5 days – with short timeouts to eat, sleep and to find ideas – all that stuff. 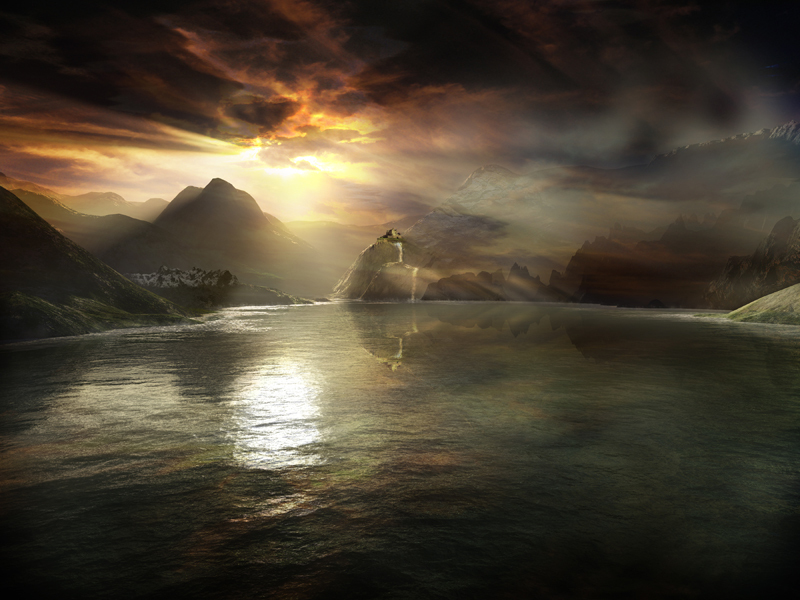 I’m really pleased with the result – it’s definitely under my personal top 3 terragen pieces. This entry was posted on Saturday, August 23rd, 2003 at 14:31	and is filed under Artworks & Archive. You can follow any responses to this entry through the RSS 2.0 feed. You can leave a response, or trackback from your own site.